Last week, several rainstorms passed through the area, and at the end of the week, we experienced unusually high winds. It was so windy, in fact, that Eric and I were awakened by the sound of wine bottles toppling over in the galley as several extremely powerful gusts caused our 32-ton boat to heel (we recorded 50 knots after the strongest gusts had subsided). The very next day, Eric, Helina and I left for a long weekend trip (via car). 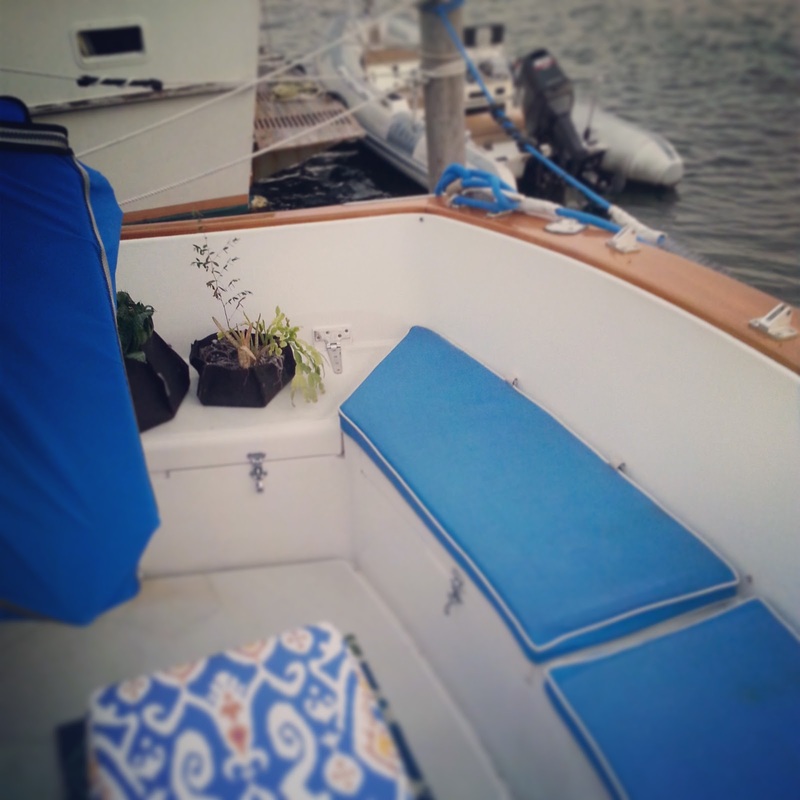 Given the strong winds we'd had the night before, we decided to stow our new aft-cockpit accessories inside the boat, so that nothing could blow away. The only thing we didn't store were the aft-cockpit cushions. Well, as luck wouldn't have it, after returning from our mini-vacation, I discovered that one of our aft-cockpit cushions--the exact cushion that had been missing for a year--was gone...again. Upon realizing that our cushion had blown away, I became paralyzed by feelings of annoyance. In fact, it was the most severe case of annoyance that I have ever experienced. I have already spent an entire year of my life frustrated by having only 3 out of 4 cushions, and now one is missing again. To cope with the situation, I resurrected my "potting station" and insisted we embark on a late evening search for the cushion. Eric, who had already given up hope of finding the missing cushion, suggested that instead of searching for it, we simply not worry about the cushion because "the universe doesn't want us to have all 4 cushions." I chose to ignore his faux-Zen lie. Needless to say, we're getting a new cushion made (pending a quote from a marine upholsterer) and getting better snaps and fasteners attached to the remaining cushions. Lee Cloths to the Rescue?